You know what Intersectionality is. You’ve probably thought about it this week. Talked about it this week. Read about it this week. It’s one of the most pervasive theories many of us can’t even name. 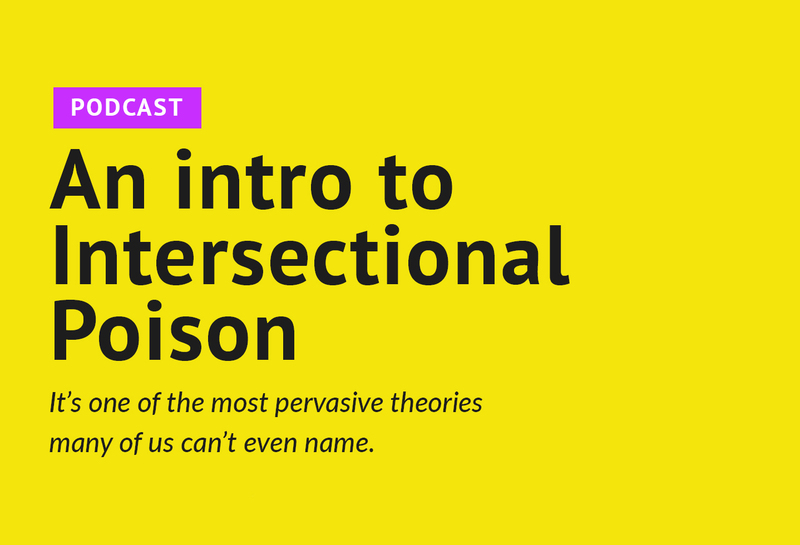 So stick with us, because in this episode the girls lay down the groundwork for what this social theory is and where it came from. It’s difficult not to dive straight in to why it’s antithetical to the very nature of the Gospel, but they tried to save most of that for next week’s episode, so do your homework, and stay tuned! 3:15 The girls let everyone in on how gas propels vehicles forward. 5:10 Summer introduces the topic for the next two weeks—this strange thing you probably already know pretty well, although perhaps not by its actual name—Intersectionality and Critical Theories. 10:00 What is a “Critical Theory”? 17:48 Why is the BLM website an excellent example of Intersectional theory? 20:39 Okay, so, there are some good ideas within these theories…. 24:20 Why are identity politics a bad thing? 26:30 What happened to Jordan Peterson? 39:30 What we are/aren’t saying about the culture you’re born in to and how it impacts your life. 42:00 Why are we willing to think in terms of slogans and buzz phrases? 45:00 What do we do with our obsession with ourselves, our shame, and our legitimate hurts? 54:00 Hanging your hat on these theories is like giving a thirsty person a cup of dust. An oncologist doesn’t have to have experienced cancer to have compassion on his patient or to know what the best treatment is for a patient. Nor is a cancer patient necessarily an expert on cancer. An elementary teacher can genuinely care about a student without experiencing exactly what the student has in their situation. They can also teach them to read without completely understanding their oppressed situation. Believing that the more oppressed a person is the more of an expert they are is the blind leading the blind. Who will lead them out of their oppression? Or is oppression the preferred state? You wouldn’t think so. Everyone says how bad it is. But why would a person want to be free of oppression if it provides an unquestionable belief system and political position? If this is the case, the oppressed person, in a Postmodern/Neo-Marxist society, actually has the MOST power.